Pine Grove Behavioral Health Blog: New Years Resolution or Addiction? New Years Resolution or Addiction? With the New Year now upon us many of us will take time to reflect on the previous year and our lives. It’s a natural thing to do, to evaluate and reflect on the past. Many of us may make New Year’s resolutions while some may simply hope for a better year. For those who do make New Year’s resolutions it may be as simple as finally taking that dream vacation, going back to school, or joining a fitness club. For others it maybe more difficult to keep such resolutions, especially if they involve alcohol or other potentially addictive substances. While making resolutions (and not keeping them) is extremely common, it’s also important to remember that the inability to stop a behavior (or substance) is a potential sign of an addiction. If you or someone you know needs help fighting addiction, we can help them change their lives, to become free from addiction. 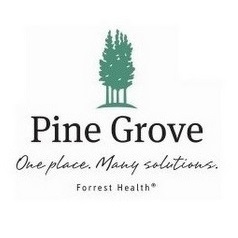 Pine Grove offers specialized treatment for men, women, and senior adults struggling with chemical dependency. We also offer evaluation and outpatient services, treatment of sexual addiction, and support programs for families or spouses of those struggling with addiction.